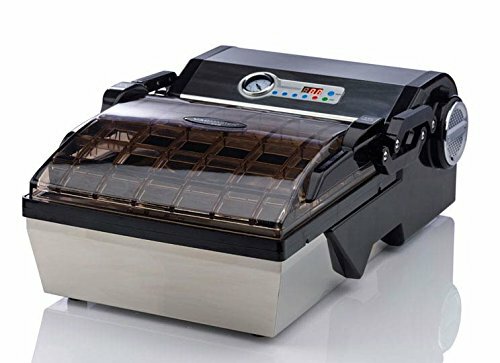 If you are looking for the top-class vacuuming sealing for storing your food items in the kitchen, then the right choice for you is the VacMaster VP112 Chamber Vacuum Sealer. Although you have to spend a little bit more when you think of purchasing this vacuum sealing kit, but all you will get is nothing but the most outstanding-type vacuum sealing for your foods. 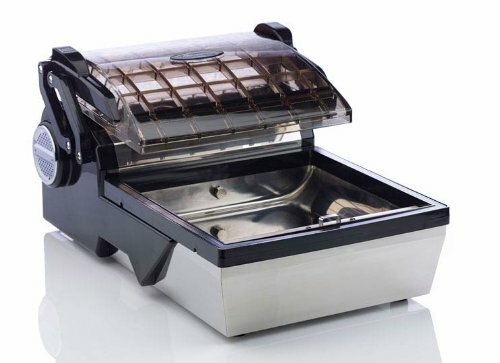 This can be the ideal option for those housewives who want something unique and expensive in the list of their kitchen appliances. In this review about VacMaster VP112, we will be trying to discuss about all the facets of this chamber vacuum sealer. So, it will be a better idea to study this review so that you can get to know about all the features and attributes of this vacuum sealing machine. The VP112 has been redesigned in order to give the customers the right fir for the kitchen. The lid and the chamber have been re-engineered with the help of some heavy-duty materials so that you can get something extra from it. With the help of this sealing machine, you get the chance of infusing your vegetables and meats deeply within a matter of few minutes. This machine will help you to save your time through performing periodical vacuuming for the quick release of the marinade system. This sealer comes with the 4mm strong seal which has the ability to protect your food items from the freezer burn. The VacMaster VP112 comes with the new design which can be a stylish appliance in the kitchen. The digital LCD panel is another attractive feature which you can get with this vacuum sealing kit. This vacuum sealer can provide the perfect and strong vacuum sealing which will be the most needed thing for both the household kitchen and the small restaurants. In the following section, we are going to discuss about the benefits you can get from this high-quality chamber vacuum sealer. The VacMaster VP112 Chamber Vacuum Sealer comes with the sleek and stainless exterior where there is the smoked lid option. This will help you to see and observe the total processing of vacuuming. This can be claimed as the perfect user-friendly sealing device which has the additional feature of the unique control panel. The digital technology used in this control panel will assist you to get everything under the control of your palm. The wide and reliable sealing will provide the perfect protection for storing your food items for longer period of time. 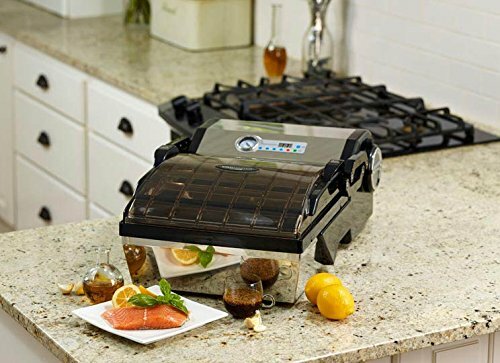 You get this vacuum sealer with the retractable and patented 12 inches wide seal-bar. This wide sealing bar can provide you the satisfaction for fulfilling your on demand sealing needs. You can select this vacuum sealer as the heavy duty player for the home-use along with the small restaurant operations. We have studied the vacuum sealer reviews about VacMaster VP112 from a huge number of customers from different websites. While studying those reviews we got a rating of 4.5 out of 5 from the average numbers of customers. You can definitely choose the VacMaster VP112 for having the highest class of sealing for your food items. In this case, you need to remember 2 very important things. The 1st thing is that you have to make regular spending for buying the chamber bags. And, the 2nd thing is that you have to change the heating-bar after the end of every month. Alongside this, you have to be very careful while using the lid because the lid can be broken if it is not handled promptly. The last thing you have to do is to clean the vacuum sealer after finishing your daily sealing job. So, this is all about the VacMaster VP112 Chamber Vacuum Sealer review which we have written after making a broad study. You can read more vacuum sealer reviews to get the best vacuum sealer for your kitchen.